Joseph Bellows Gallery is pleased to sponsor a book-signing for Susan Ressler at the 2018 Medium Festival of Photography. The artist's book-signing will take place Thursday, October 18, from 7:00-9:00pm and Saturday, October 20, from 12-1pm. The book-signing is in support of her gallery exhibition, Executive Order: Images of 1970s Corporate America running October 5 - November 30. 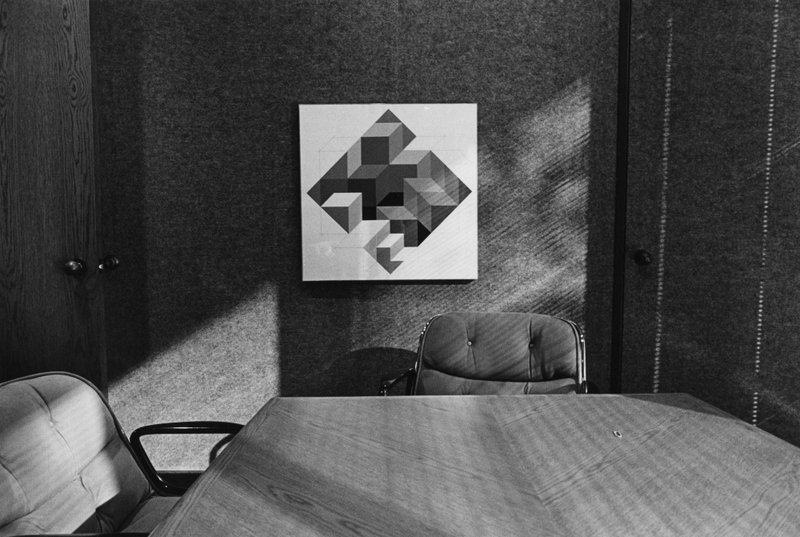 From the Publisher: Executive Order is a trenchant look at corporate America, featuring portraits and office interiors shot during the 1970s in Los Angeles and the Mountain West. A daring critique of wealth and power, Ressler wields photography with humor and insight, and her work is especially relevant today.